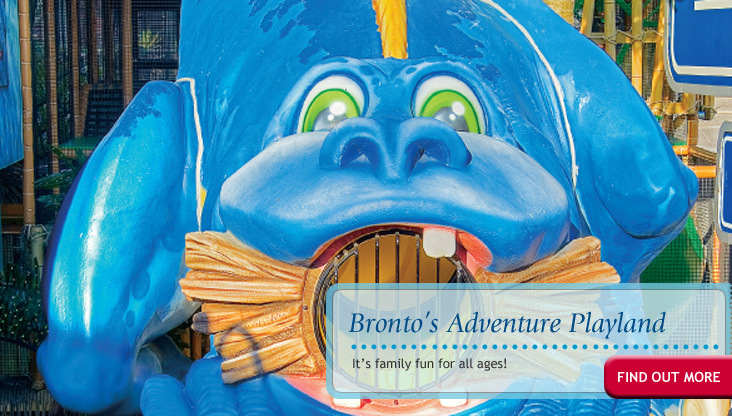 Come one, come all, to Niagara's newest attraction, a world of fun and adventure at Bronto's Adventure Playland! Our indoor and outdoor attraction is the perfect place for energetic families who want to stay and play on Clifton Hill! 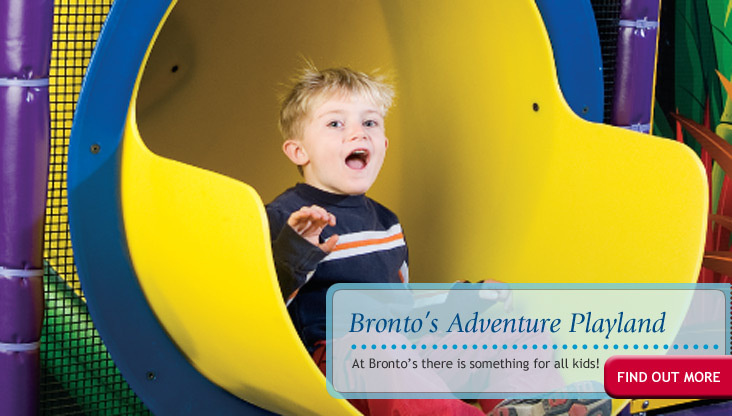 Bronto's features the Ballocity Play Zone, with a ball pit and Ballocity Ball blasters. 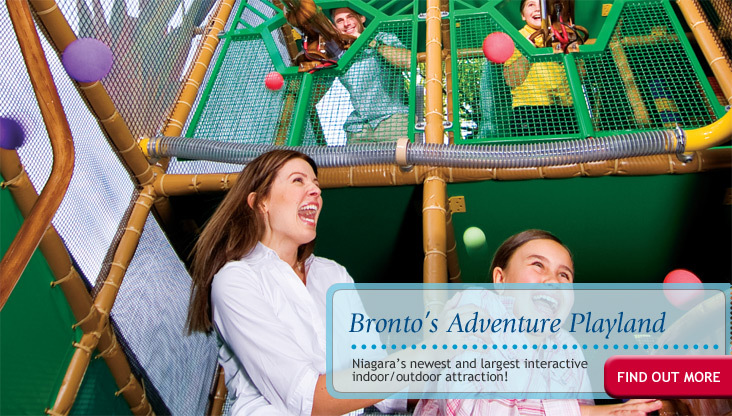 Kids can make their way through the twist n' tangles, the bumper blasts, log rollers and the cargo net climbs in the jungle gym. 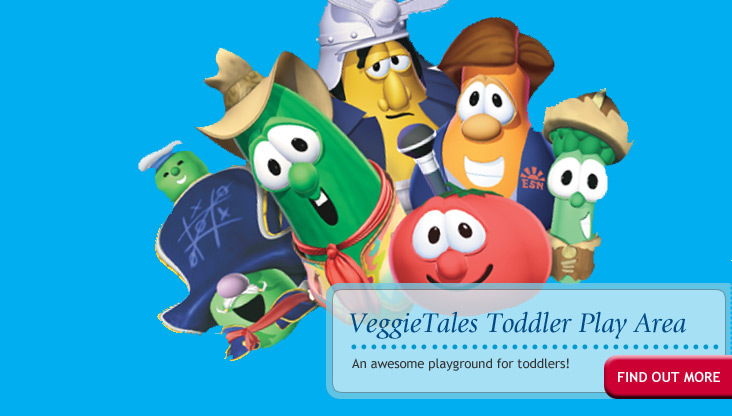 And the youngsters will love our Veggie Tales toddler play area!